Are you looking for a simple Car Hire Booking Form to provide to your customers? 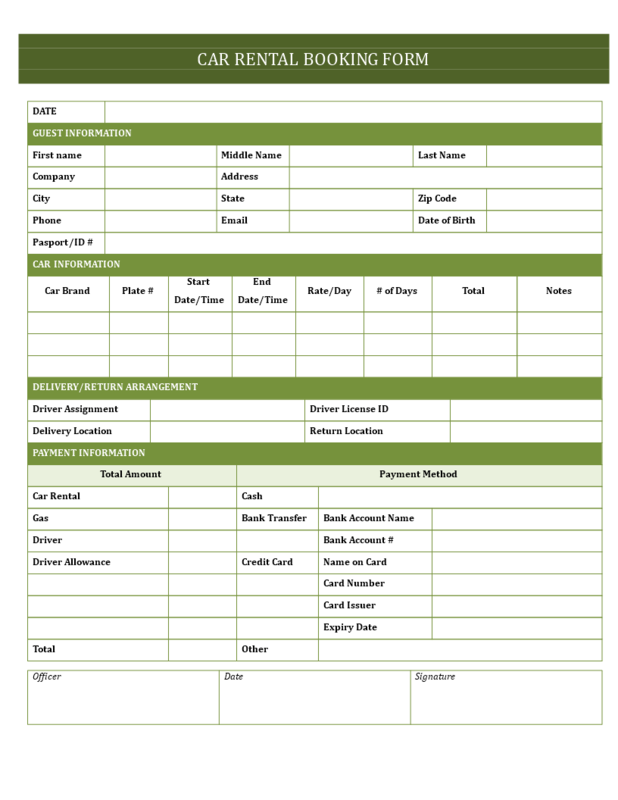 Download this professional Car Hire Booking Form template and get your polished booking form in minutes! If you are providing the rental services of cars, it is important to work with a professional Car Hire Booking Form when people come to rent a car. This easy to use template covers the essential information you need. After downloading and filling in the blanks, you can customize every detail and appearance of your document and finish in minutes. Print out your Car Hire Booking Form now!